The official FacebookSocial Networking site for Android app was updated in June to version 1.6.0Facebook for Android version 1.6.0, which added a lot of new features such as improvements to the News Feed, video uploading functionality, and Page viewing functionality, along with bug fixes from previous version. We know version 1.6.0 was a very significant update, but had some issues too. Therefore the developers at Facebook released another update for this appFacebook for Android, version 1.6.1 which fixed these issues along with a few new additions. Tag Pages in status updates using "@"
Tagging is similar to that on Facebook's desktop site. You need to use "@" to tag pages while updating your status. This update definitely brings you closer to desktop experience on your favorite Android device. 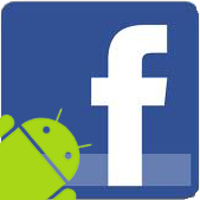 Have you installed Facebook for Android? If not, you can give it a try by downloading the app from Android Market place, here is the link to download this app. Let us know what you like and what you don't in this update of FacebookSocial Networking site for Android..
Update: Facebook for Android received another minor update version 1.6.2, which just includes bug fixes from the previous version 1.6.1.